You can’t imagine that this is the photographer of the wildest fashion Japan has seen this century, possibly ever. Simply dressed in a white t-shirt, busily pushing boxes around in his small office, Shoichi Aoki (1955) looks more like a harried graphic designer who has too much work to do. 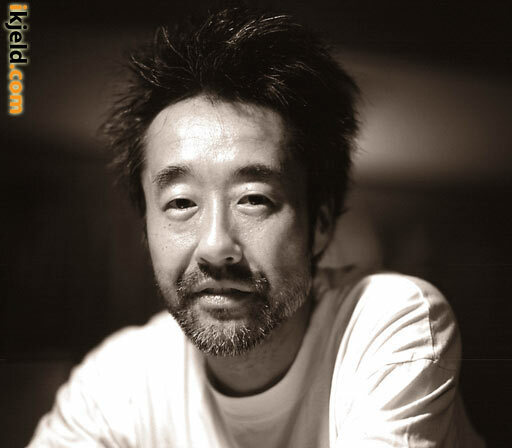 To show the Japanese kids this ‘free street art’ of London, Aoki started Street magazine in 1985. It sold well and introduced the street fashion idea to tens of thousands of Japanese teenagers. In the early to mid 90’s things were beginning to change in Japan. The Harajuku area in Tokyo had its main thoroughfare closed off on Sundays and this was attracting more and more bands and show offs. The ‘pedestrian heaven’ (hokoten) as it was called became a laboratory and incubation center for new trends in music and fashion. “In Japan everybody had always dressed the same. Whatever was popular was worn by everyone. Everybody would wear Comme des Garï¿½ons or Ivy or whatever brand was ‘in’. But suddenly Harajuku became free. People started to feel that it was cool to coordinate your own clothes. Harajuku fashion became really interesting and fun.” He recalls: “You had this small group of trendsetters, perhaps 10 to 20 people. Whenever they came up with something new, others would soon imitate them. But these imitators weren’t as cool as the original trendsetters so the trendsetters didn’t want to be identified with them. To differentiate themselves again they came up with new things. It just escalated. They kept on trying to escape from their imitators right into “decora” (editor: fashion style sporting lots of decorative stuff and strong bright colors). They figured nobody would follow them into wearing clothes that crazy.” To record this creative explosion of fashion, Aoki started up a second magazine, Fruits. Fruits almost exclusively focused on these wild Harajuku trends. FRUITS magazine covers: © copyright AOKI Shoichi.